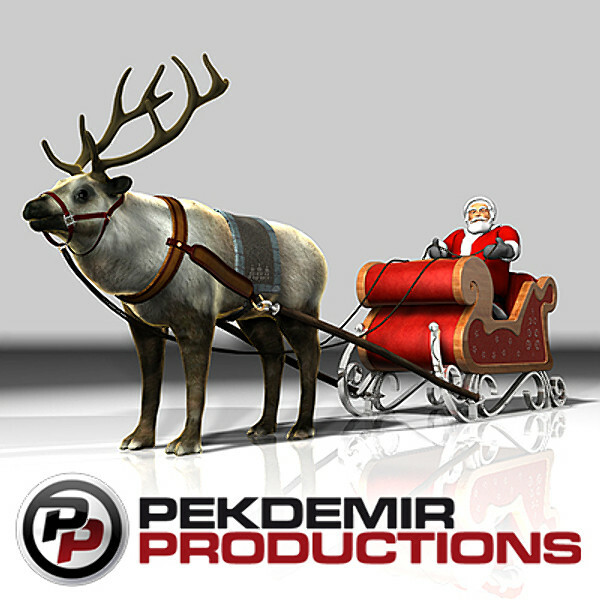 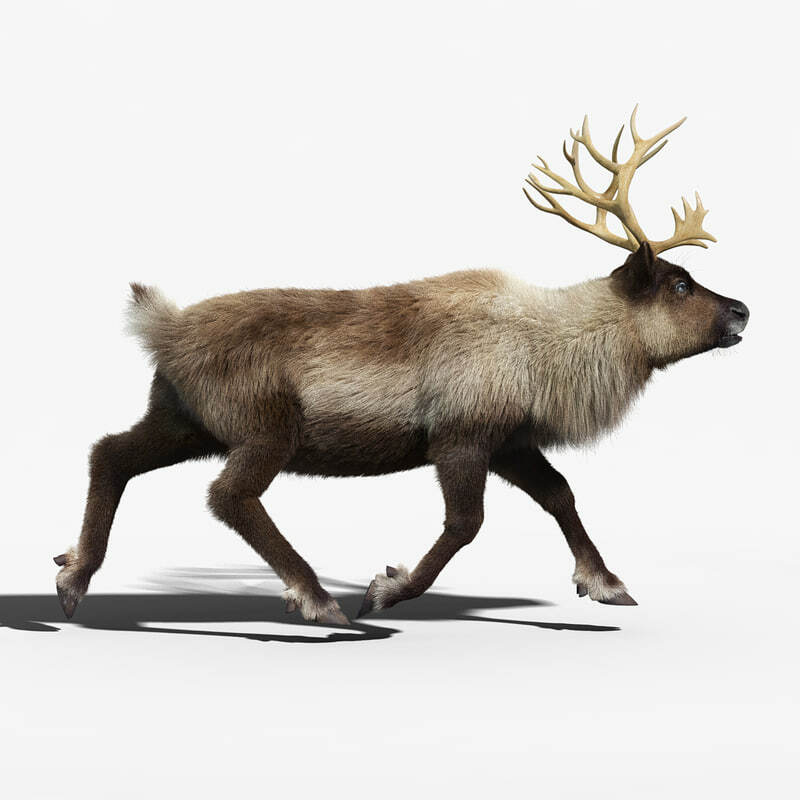 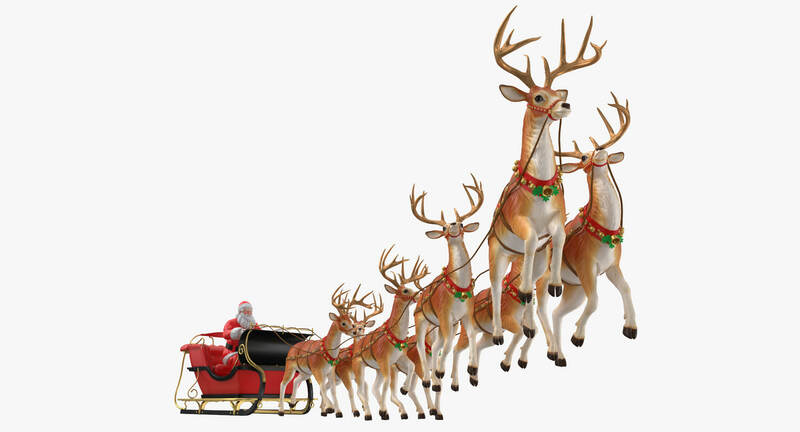 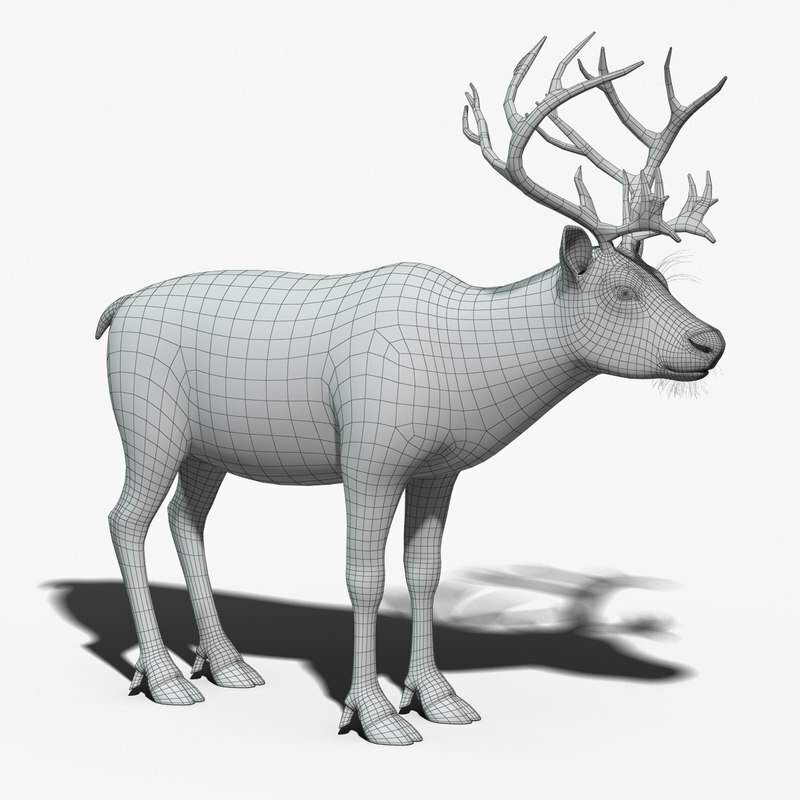 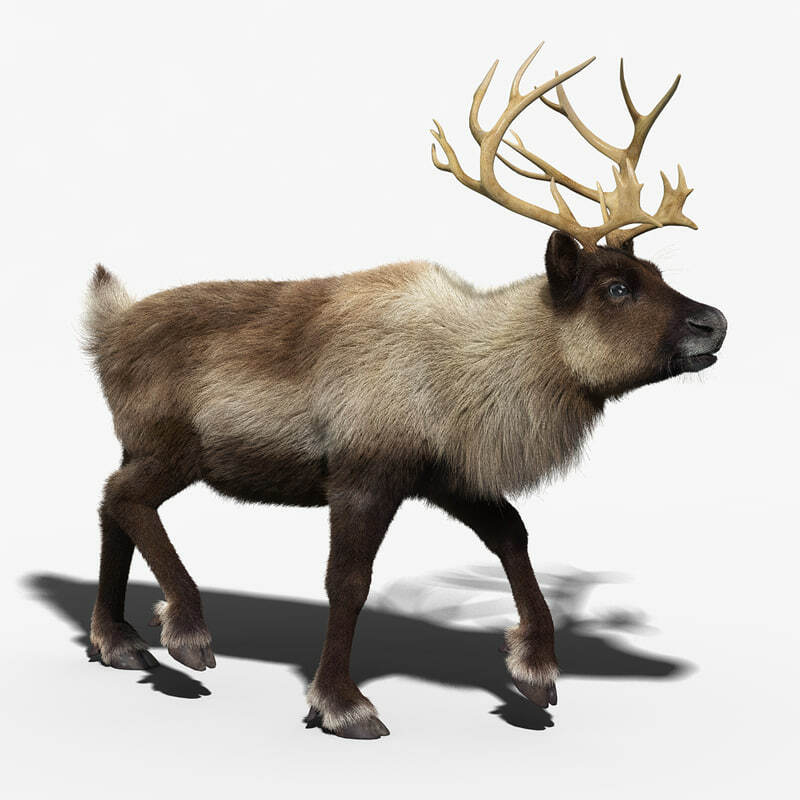 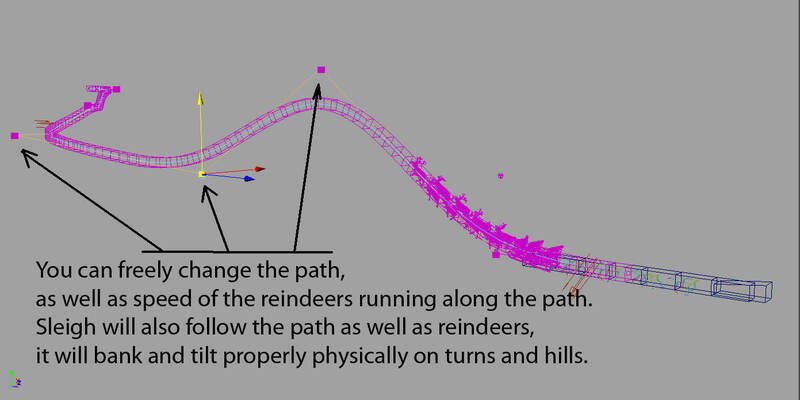 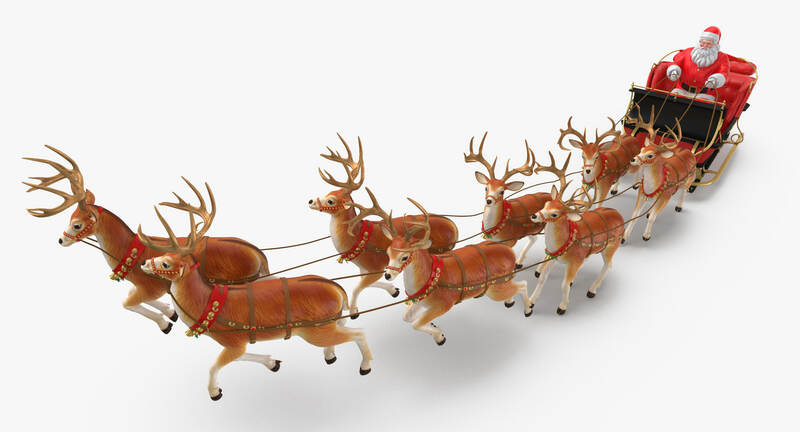 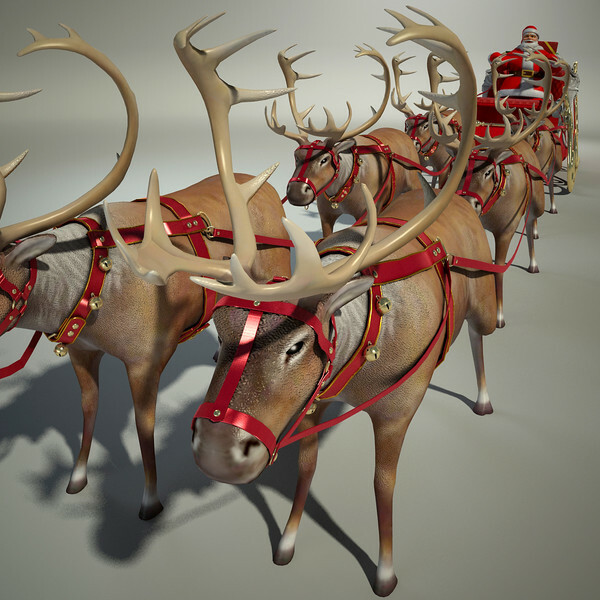 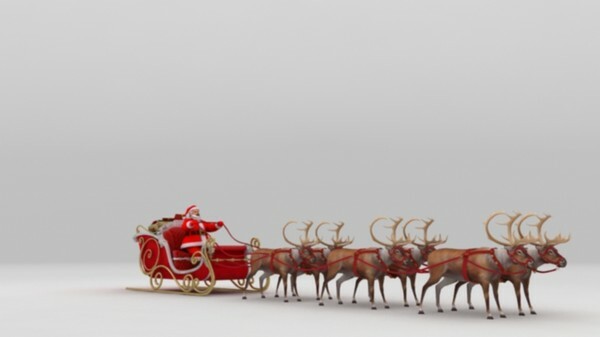 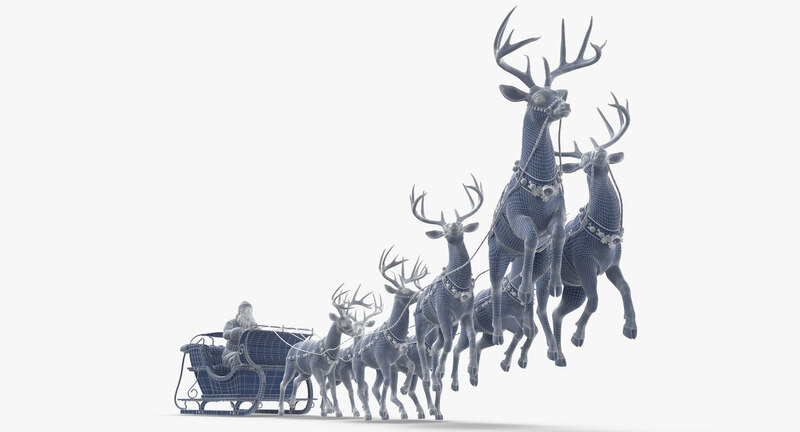 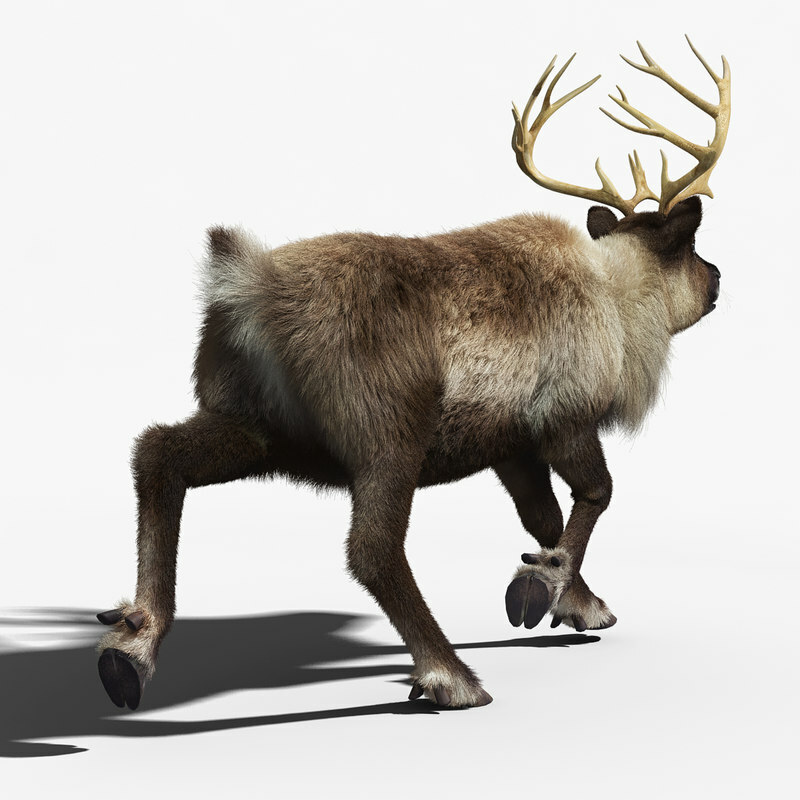 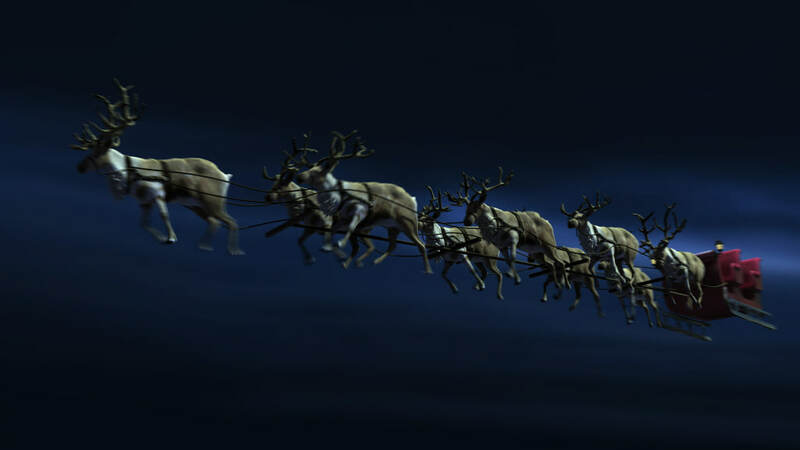 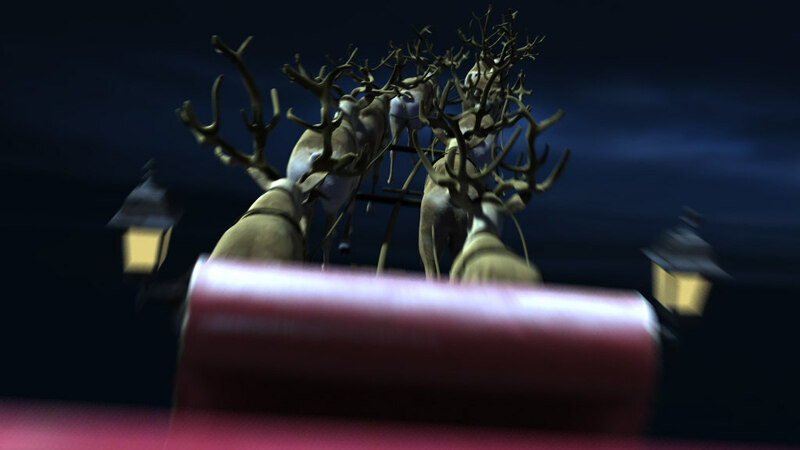 High Detailed Photorealistic 3d model of a reindeer, rigged and animated. 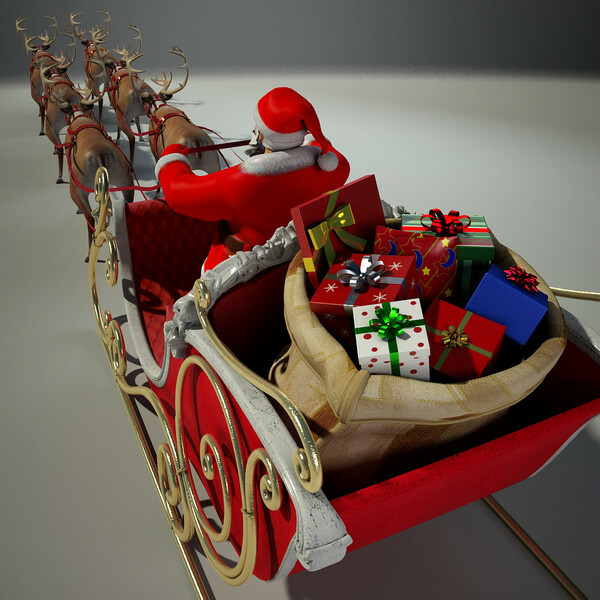 - Modeling in 3ds max 2015 and rendered with Vray 3.2. 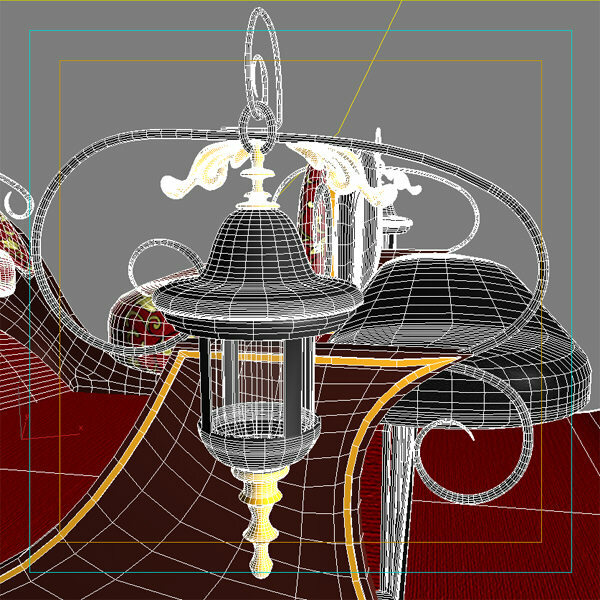 - Ready to render with Vray 2.3 settings. 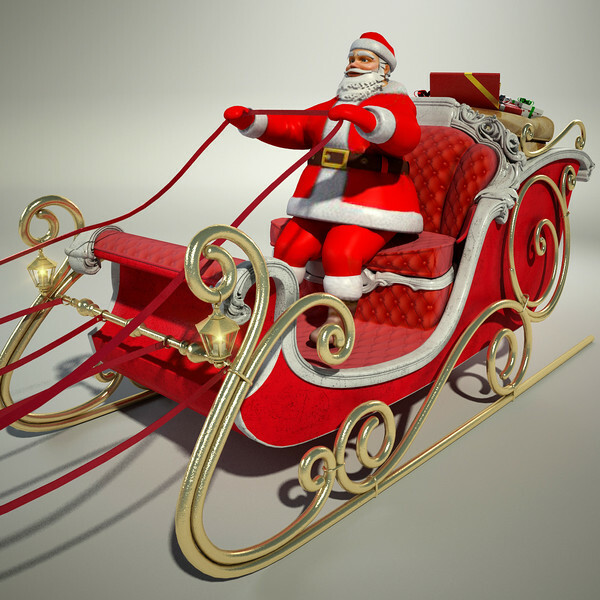 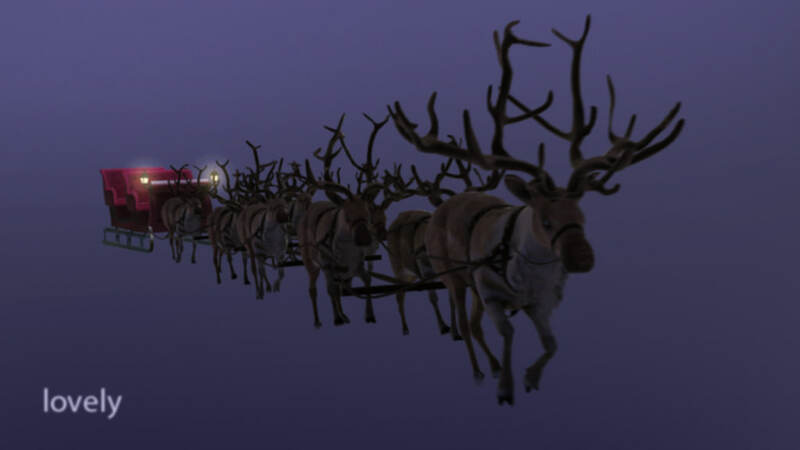 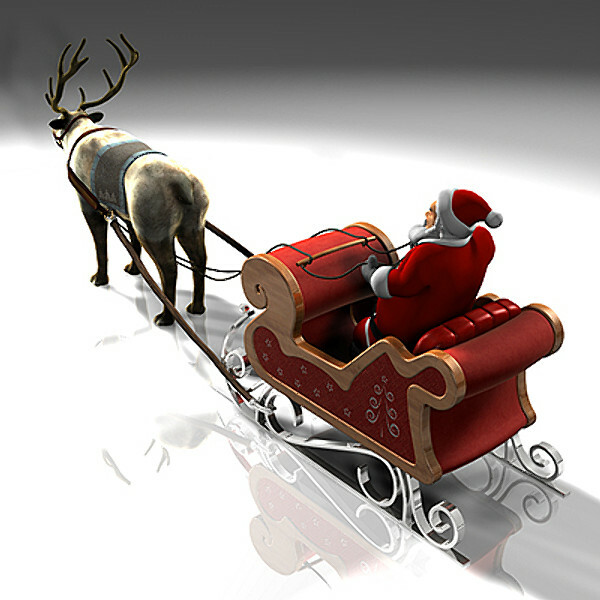 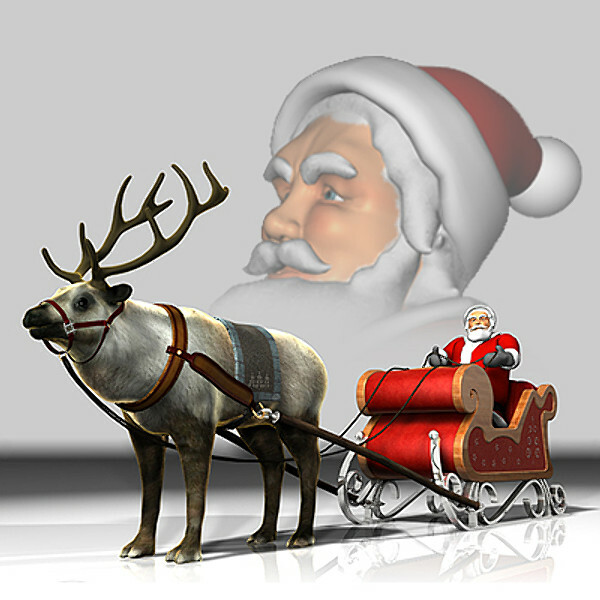 This Santa Claus with Sleight and Reindeer Flying is a high end, photorealistic 3D model, that is created to help you add the realism to your project. 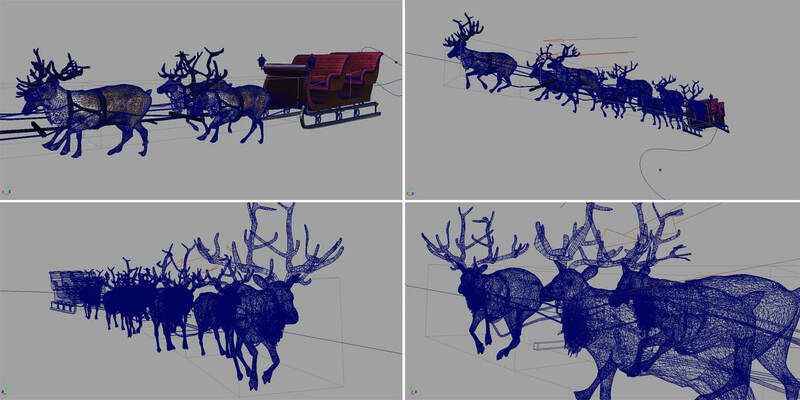 The model is suitable for any visual production - broadcast, high-res film close-ups, advertising, games, design visualization, forensic presentation, etc. 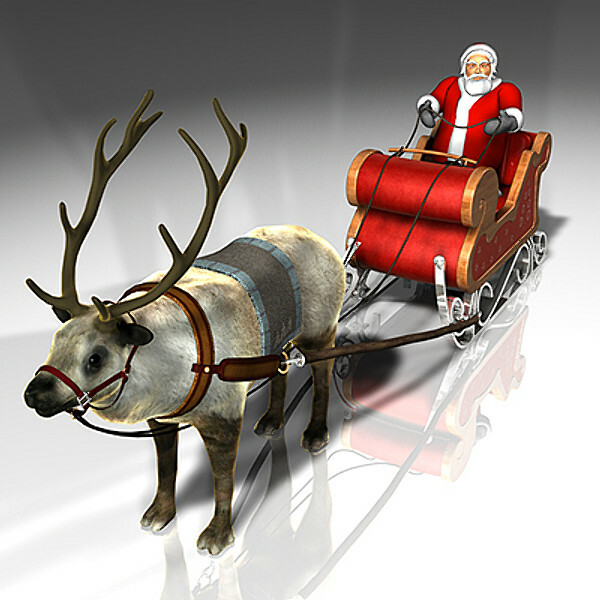 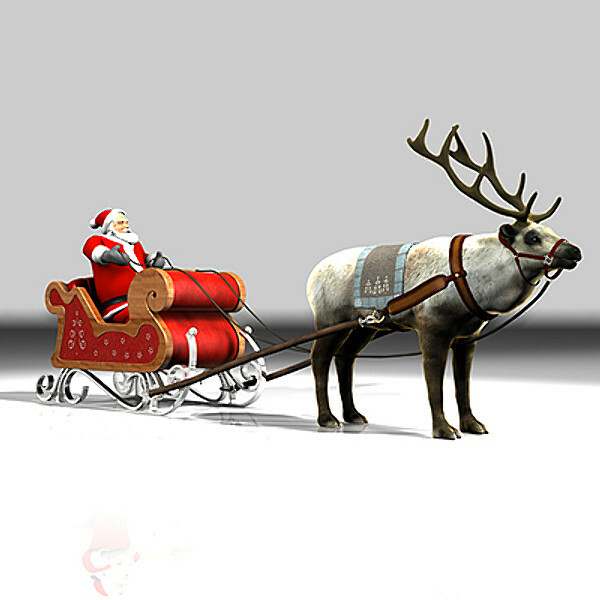 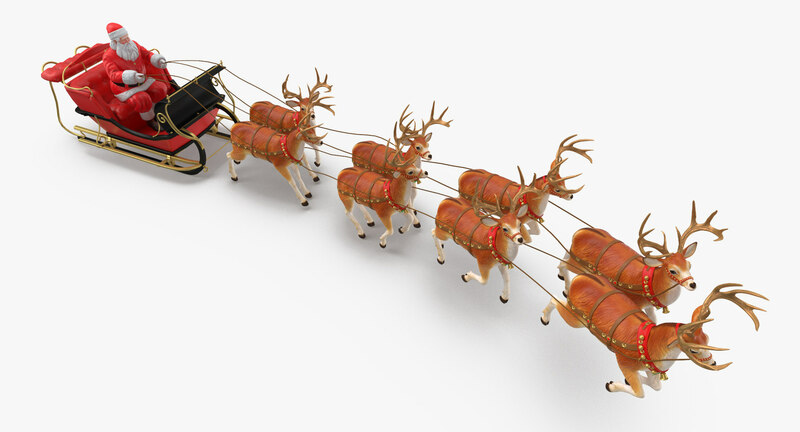 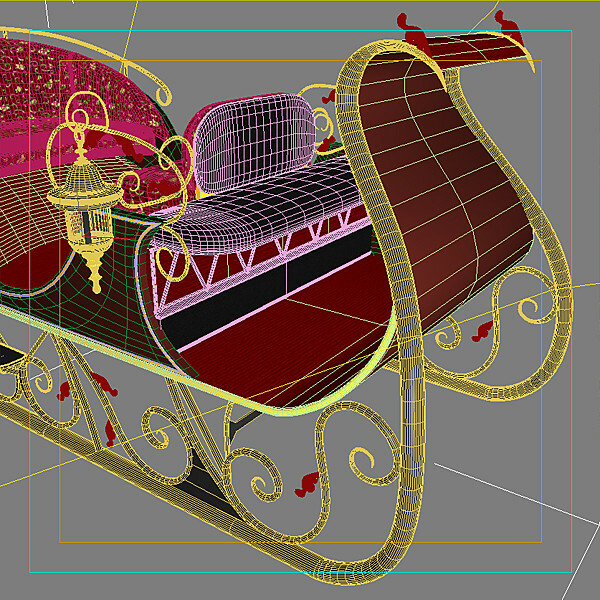 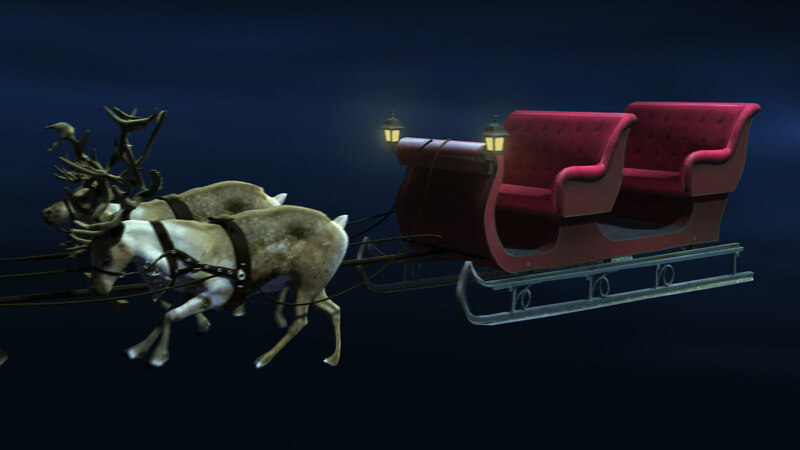 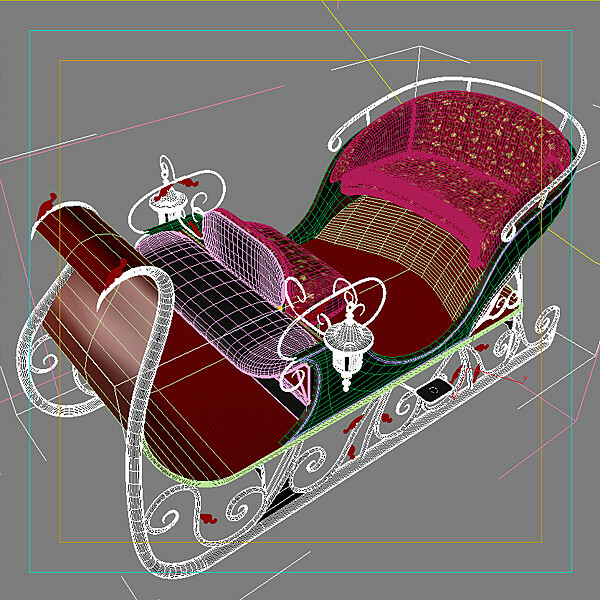 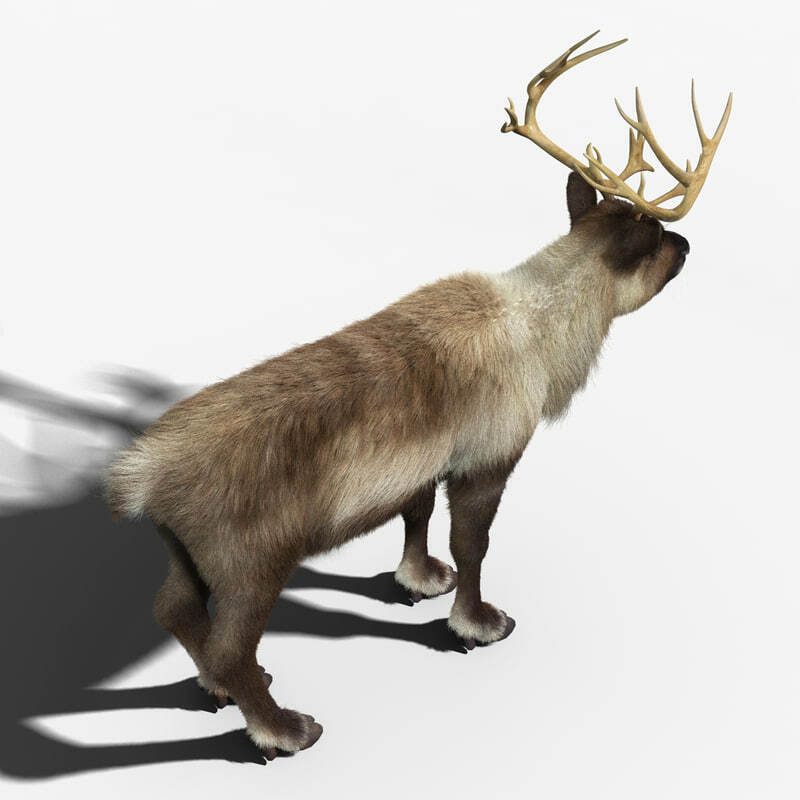 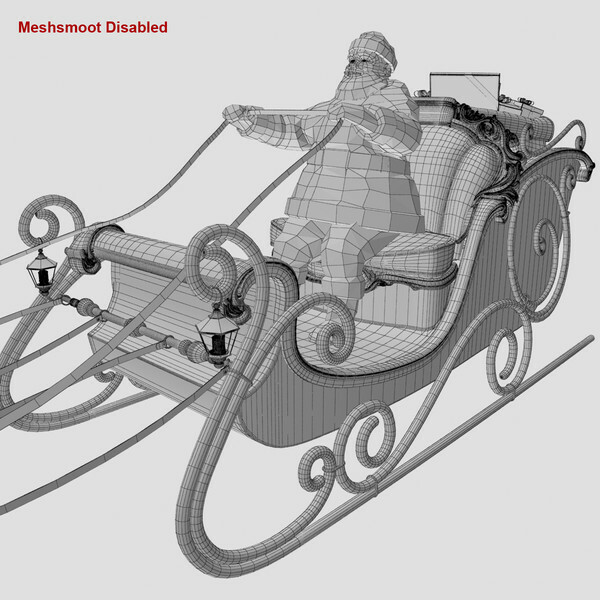 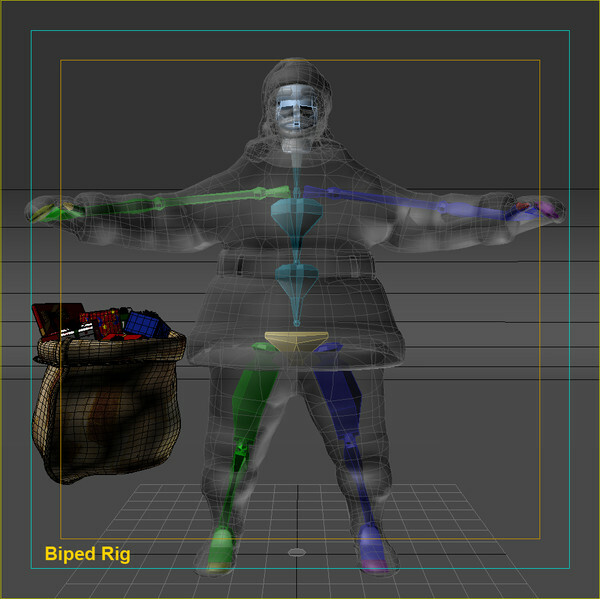 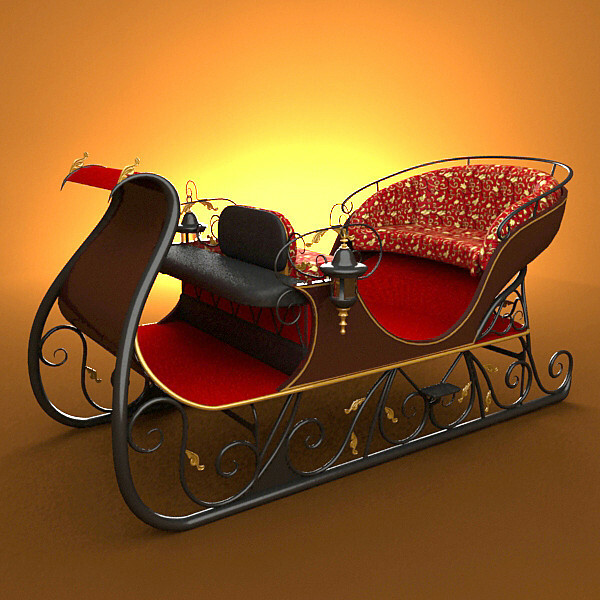 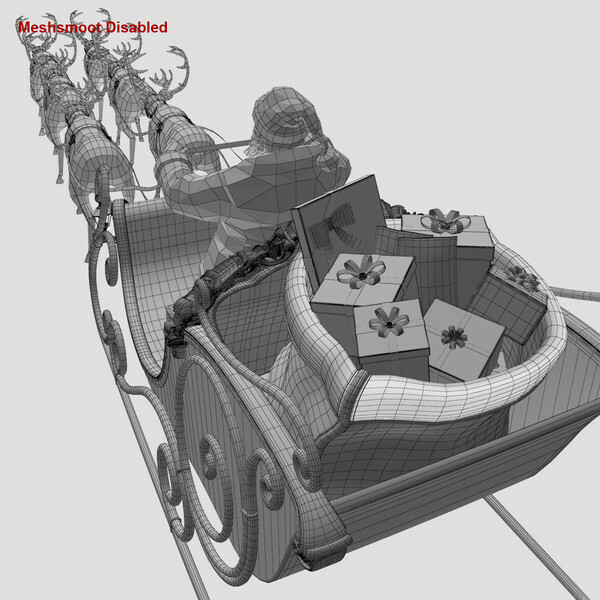 The textures for this model are kept in a separate archive called 'reindeer-sleigh-santa.tex.zip'. 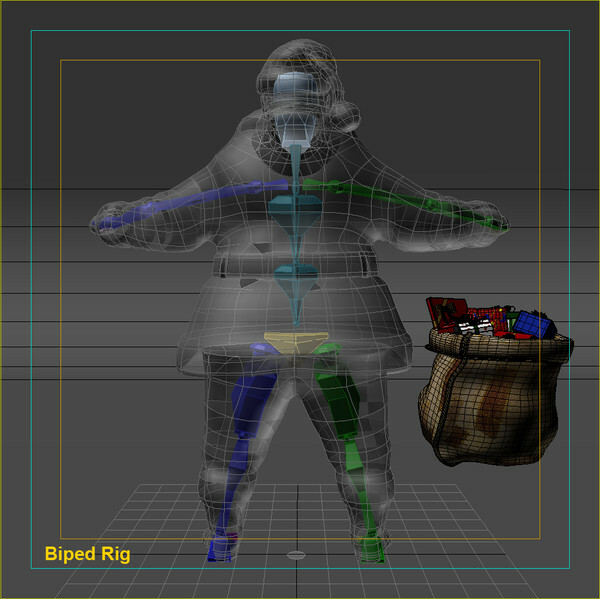 Please also download this archive and unpack the contents to the same folder / directory as the 3d model.